Texas Tea is a wonderful, fresh recipe to have in your collection for a luncheon or party. I love it’s bright red color, hint of mint, and the sweet and sour combo of lemon and pineapple. And my favorite aspect, you can make it ahead! Add a splash of flavored vodka to make it an adult beverage! I’ve seen this recipe in several Junior League and church cookbooks, you know the kind, the ones where you can guarantee it will be delicious and not too difficult!! I love those! So the next time you are hosting a party, Easter, Mother’s day or any other party; make up some of this reduced sugar sweet tea, trust me, it’s sweet enough! Start by bringing your water and sugar to a boil in a medium saucepan. Bring to boil, whisking to dissolve sugar; boil for 5 minutes. Remove from heat. 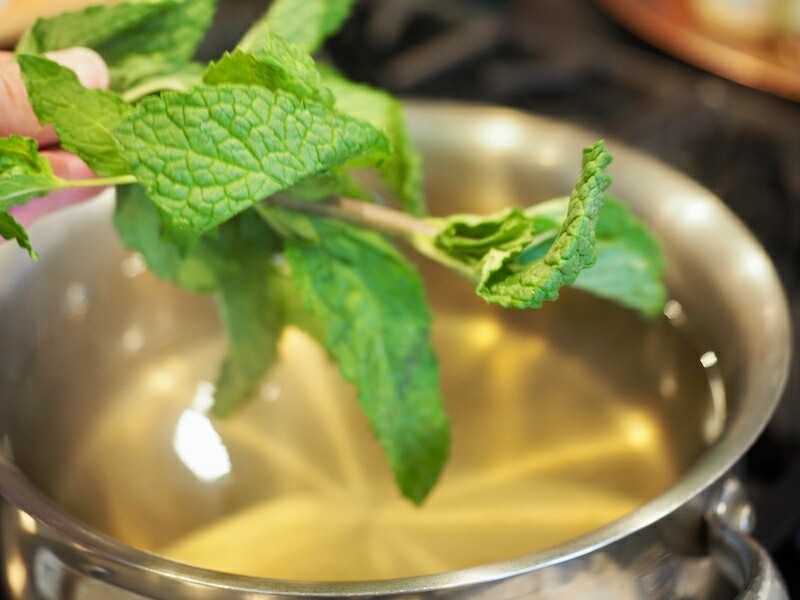 Place 4 sprigs of fresh mint into the hot sugar water; if you want it even less sweet, reduce your sugar by half, or remove sugar all-together! Get your tea bags ready; 1 family size tea bag = 4 regular sized tea bags. Add in your tea bags. TIP | Making it for the evening? Replace the black tea with decaf black tea. 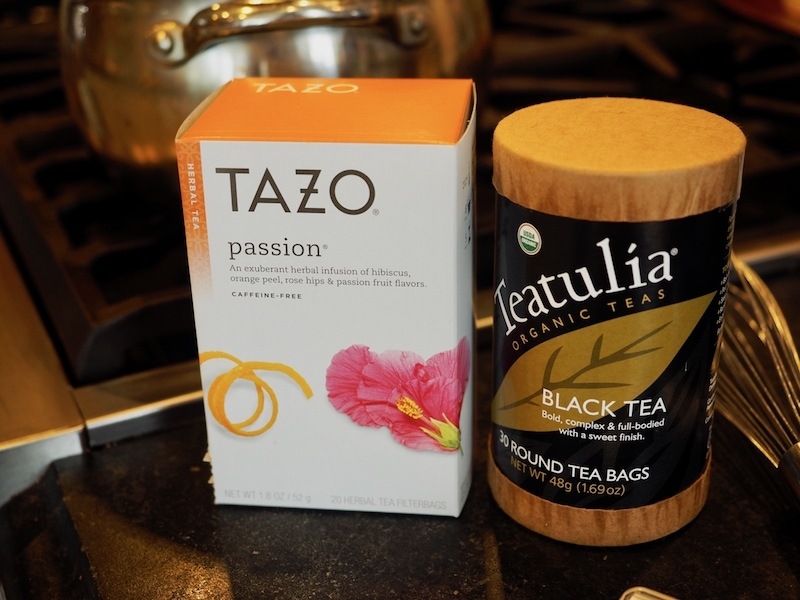 And your herbal berry tea bags (I love Tazo’s Passion tea), Blueberry or any berry tea works well. Stir to combine and allow to steep (stand) for 5 minutes. 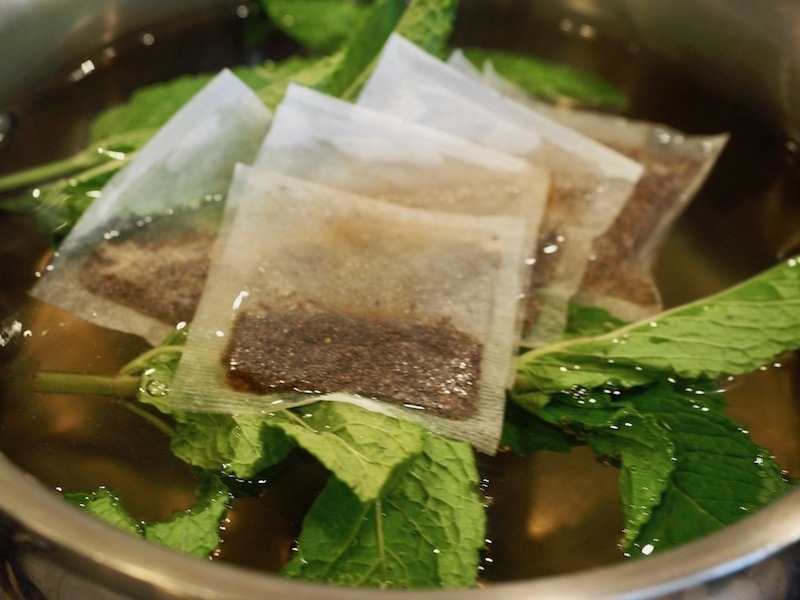 Using a strainer, just scoop out tea bags and mint and discard. Stir well and chill. Makes about 1 gallon. Serve chilled over ice (or in a large pitcher or beverage server) with a lemon slice and a sprig of mint as a garnish (optional). 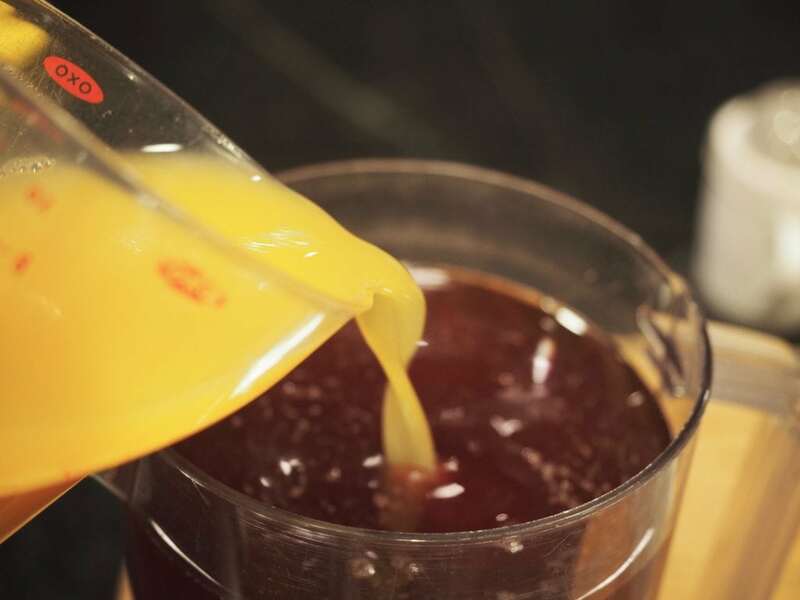 TIP | Make into an adult beverage by adding 1 oz of vodka (try Deep Eddy’s Grapefruit or Lemon infused Vodka–YUM! ), simply pour Texas Tea over the top and you have a lovely cocktail. Imbibe responsibly! Reduced sugar Texas Tea is a wonderful, fresh recipe to have in your collection for a luncheon or party. I love it’s bright red color, hint of mint, and the sweet and sour combo of lemon and pineapple. And my favorite aspect, you can make it ahead! Add a splash of flavored vodka to make it an adult beverage! 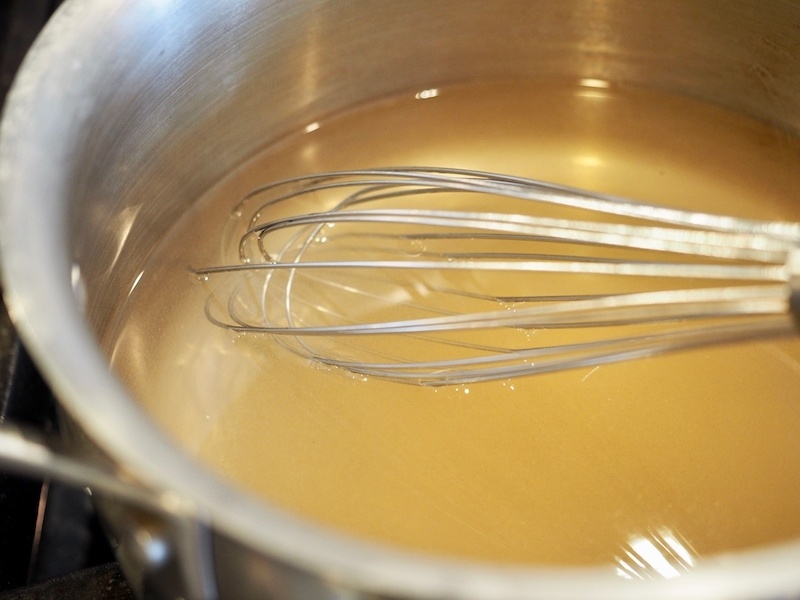 Bring the sugar (optional) and water to a boil, whisking to combine until sugar is dissolved. Boil 5 minutes, remove from heat. If not using sugar, just bring to boil. 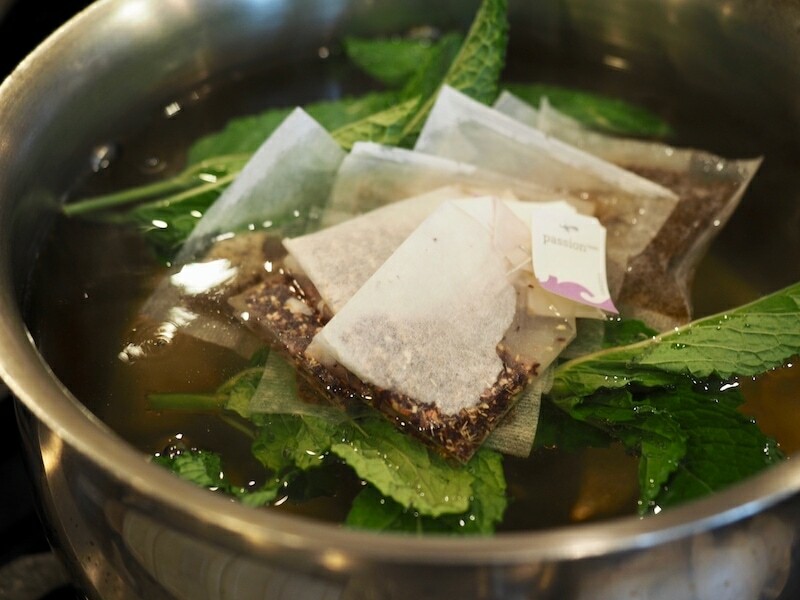 Add in your mint sprigs, herbal berry tea bags, black tea bags. Cover and let steep/stand for 5 minutes. 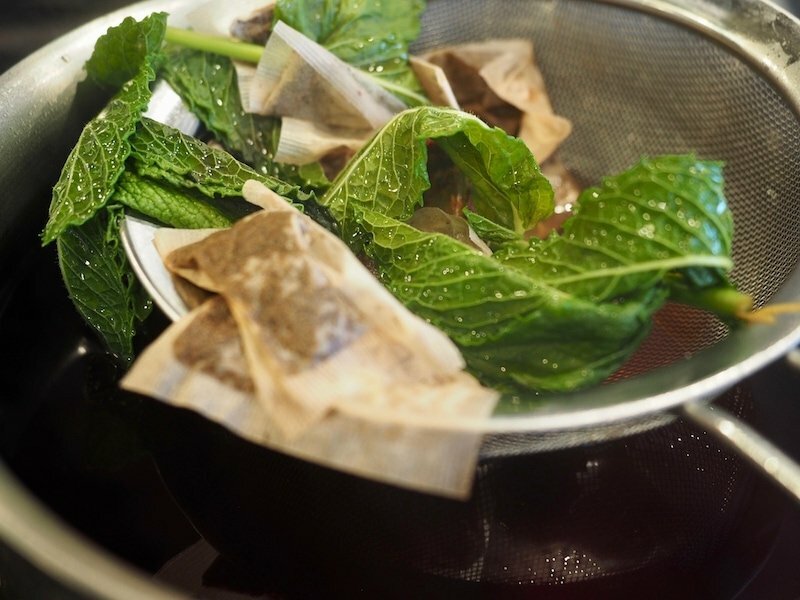 Remove tea bags and mint from tea using a sieve. 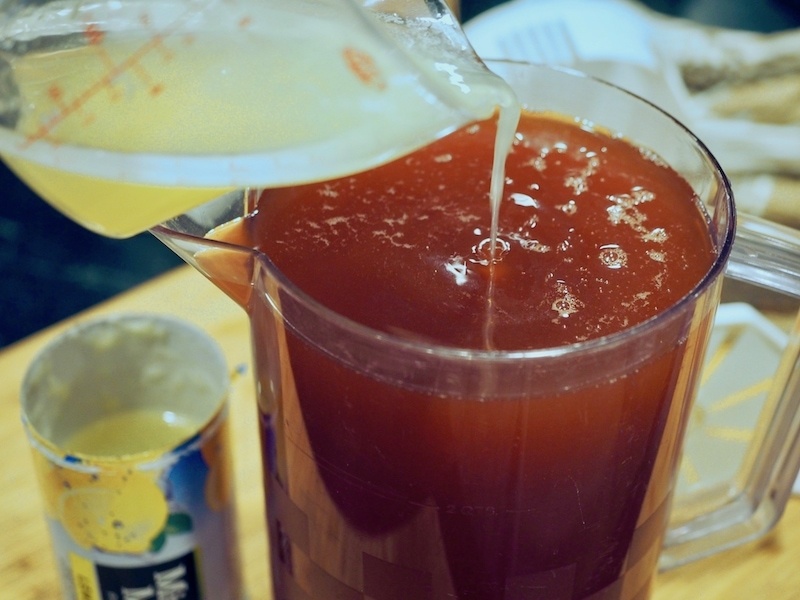 Add lemonade concentrate and pineapple juice. Serve over ice, garnish with a lemon slice and a mint sprig. If you’d like your tea even less sweet, reduce your sugar by half, or remove sugar all-together! NOTE | Make into an adult drink by adding a shot of your favorite flavored vodka, give Deep Eddy’s Grapefruit or Lemon a try. © 2018 | This recipe for Texas Tea (Reduced Sugar) was featured first on The Fresh Cooky.